This recipe was created in partnership with Tum-E Yummies — a fun, fruity drink option made with kids in mind. Thanks for supporting us and the brands we love! 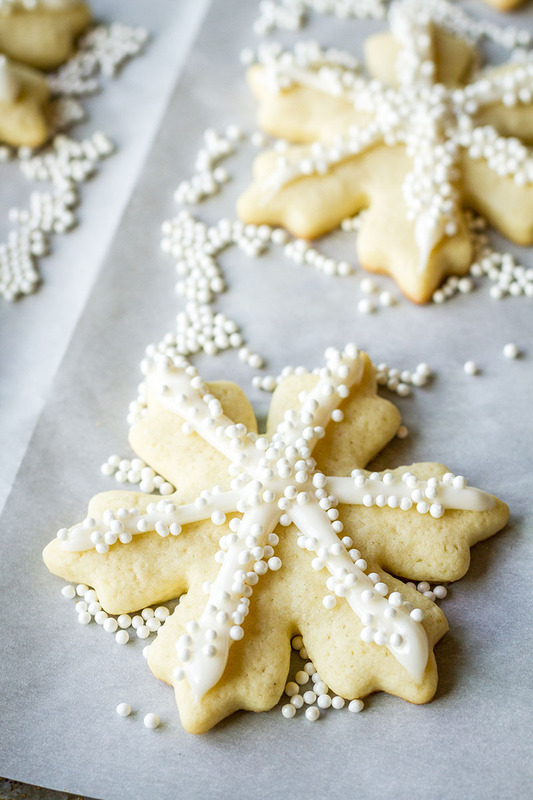 Iced sugar cookies — yay or nay?!? If I’m being completely honest, I’d have to say I’ve never been a huge fan. I feel like such a Grinch saying that, but I prefer my sugar cookies not-too-sweet, soft, and fluffy, like these old-fashioned sugar cookies I shared years ago. On the other hand, I LOVE decorating sugar cookies. As do my kids — they adore gathering around the table to decorate cookies as a family during the holidays! We make it into a party with fun color-coordinated drinks and other snacks to nibble while decorating. But let me clarify — we’re not talking the ultra detailed, royal icing piped cookies you’re probably seeing all over Pinterest right now. Those are totally amazing and beautiful, and I could literally spend all day watching videos of talented bakers decorating them. However, this mama does NOT have the time or patience for that, nor do my kids. We keep our cookie decorating FAR less ornate, with just a few simple strokes of icing and sprinkles to highlight the shape of the cookies. We do use royal icing, but it’s a bit of an unorthodox recipe. It doesn’t use egg whites (no stressing over what to do with all those egg yolks), and it doesn’t use meringue powder (I really hate one trick pony ingredients). Instead, it uses corn syrup to give it a crusty finish that has the most gorgeous glossy sheen. I bet you have some in your pantry right now, yes? Try it — you may just ditch your classic royal icing recipe for good. Seriously, this icing is SO ridiculously easy to make when you eliminate the eggs whites and/or meringue! 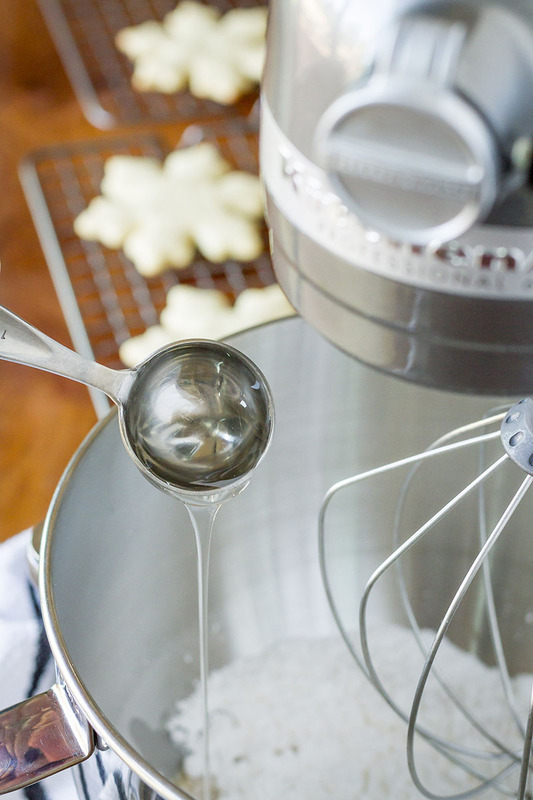 Add confectioners sugar to a mixing bowl or to the bowl of your stand mixer fitted with the wire whisk attachment. Start mixing on low, and slowly add the milk, corn syrup and vanilla extract. Continue to whip until smooth. 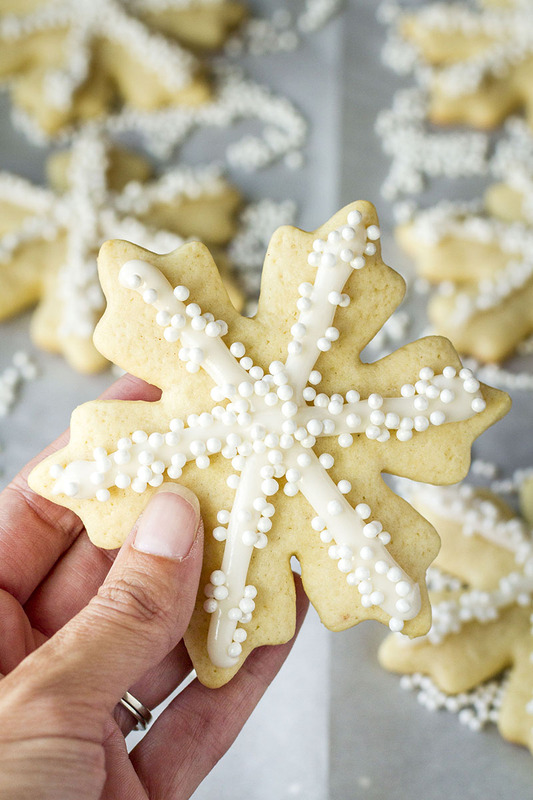 If the royal icing is too thick, thin it out by misting it with a spray bottle of water, once spritz at a time, until it reaches the proper consistency. If it's too thin, add additional confectioners sugar a teaspoonful at a time, until it reaches the proper consistency. See tips in the post below for testing consistency. If you want to color to your royal icing, I recommend using gel food coloring. 1| The icing will be very thick to start, like surprisingly thick. This is OKAY! It’s easier to thin it down than it is to thicken it back up. Just add water a tiny bit at a time to thin it down. A simple spray bottle of water works wonders for this task. If you thin it too much, add more confectioners sugar as necessary. 2| Not sure what the consistency should be for piping? An easy way to check is to simply use a spoon to scoop up some of the icing and drizzle it back into the bowl. If ten seconds have passed and you can still see where you drizzled it, it’s too thick. On the other hand, if it combines before ten seconds have passed, it’s too thin. 3| Royal icing sets up very quickly. Keep the bowl covered with a piece of plastic wrap pressed down directly on top of the icing in between uses. This also means that if you’re using sprinkles with your royal icing, you should apply them immediately after piping or the icing will set up and they’ll just bounce off. Piping royal icing onto sugar cookies with plastic ziploc bags works great for adults and older kids. But I noticed my younger kids getting frustrated with this hack. The baggies were hard for them to control, and the icing ended up flowing too quickly. As I looked through the cabinets trying to find a solution, I noticed the Tum-E Yummies drink bottles they were sipping from while decorating. Might they work? I grabbed a few empty bottles, washed them out, and used the plastic bags to squeeze the icing into the mouth of the bottle. 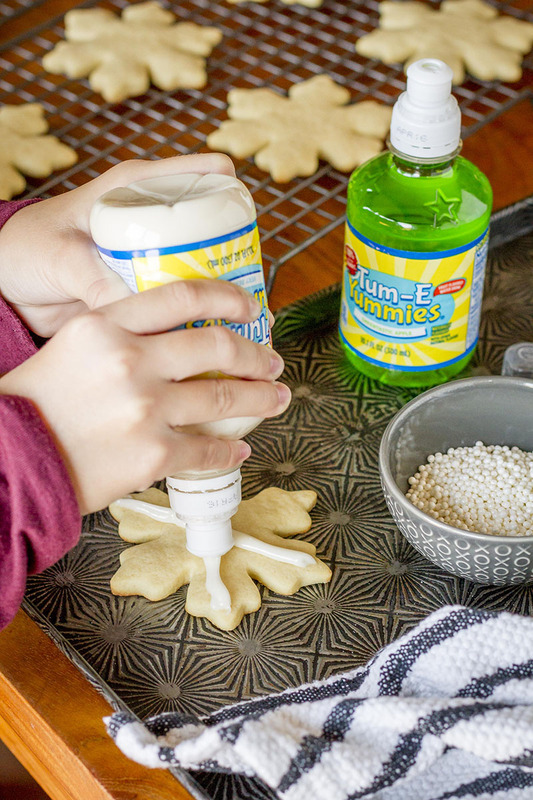 Then I replaced the squeeze top, and voilà — an instant easy cookie-decorating tool for kids! The tip makes it much easier for them to control placement of the icing, and when they need a short break, they can just close the top and return to it when they’re recharged. 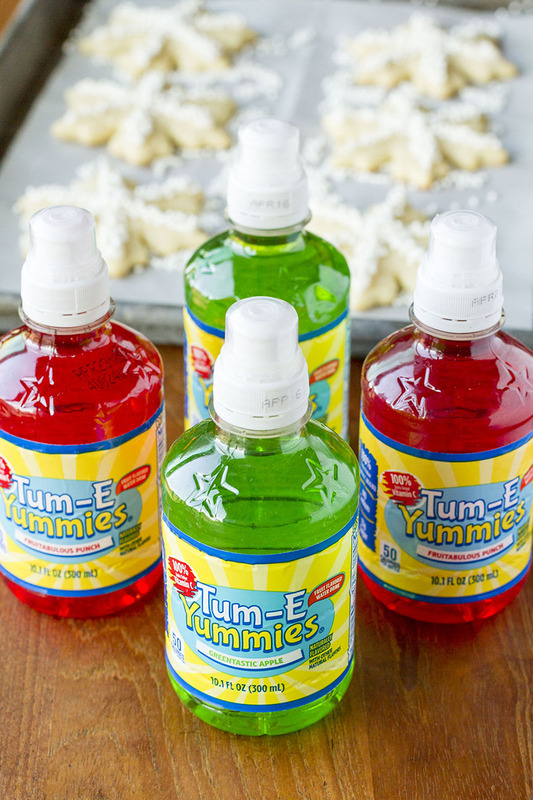 If your kids haven’t tried Tum-E Yummies, they’re fruit flavored waters that come in five flavors (Very Berry Blue, Greentastic Apple, Fruitabulous Punch, Orange-arific, and Sour-sational Raspberry). My kids are crazy about them, and I’m pleased to note that each have 100% daily value for vitamins C, B6, and B12, with only 50 calories and 13g of sugar. They’re a total win-win for both parents and kids — AND the bottles are fabulous for crafting. Find them at a grocery store near you, and be sure to check out their Pinterest account for more fun, kid-friendly ideas! 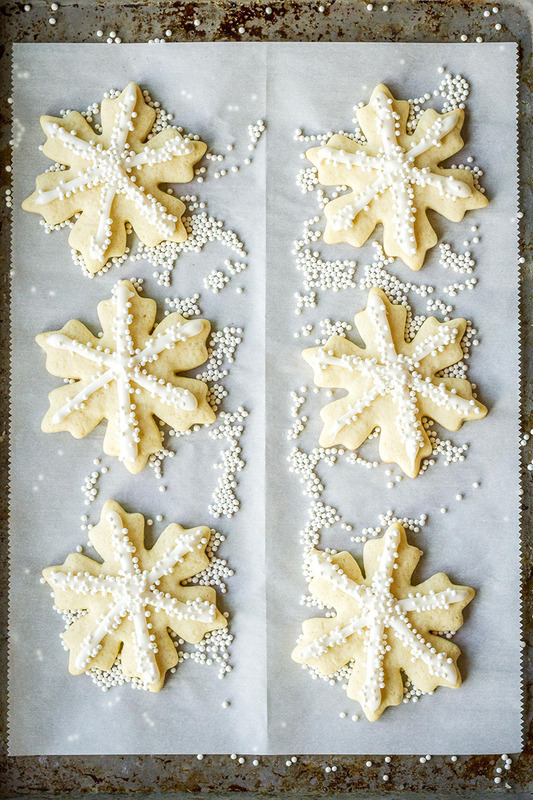 I’d love to see how your iced sugar cookies turn out… Tag me @Unsophisticook on Instagram or use the hashtag #Unsophisticook so I can check it out. Enjoy!